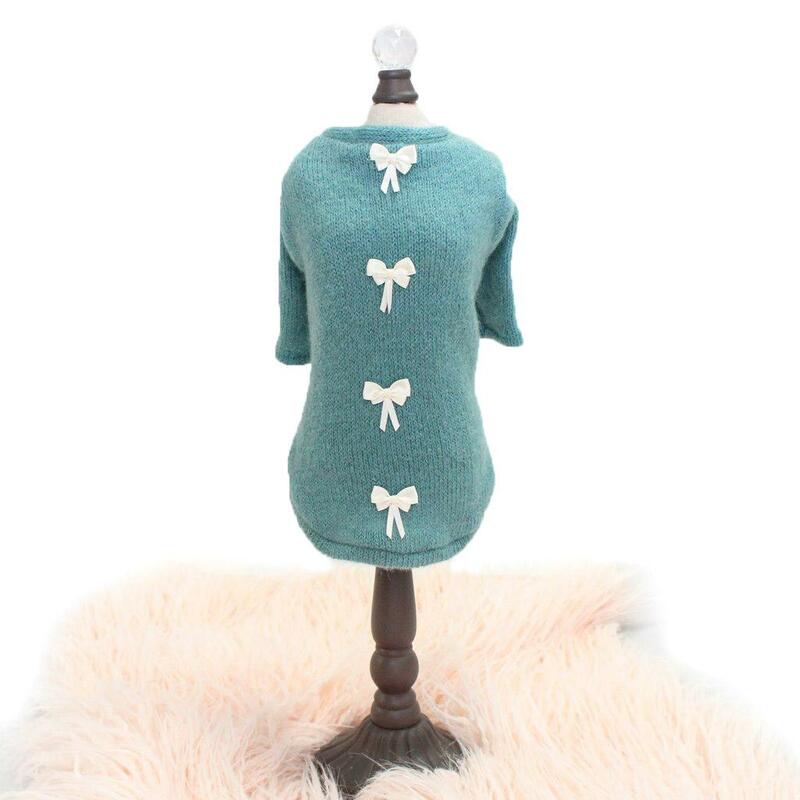 If softness and sweetness describe your pup, you'll love the Dainty Bow Dog Sweater Tee in Teal by Hello Doggie! 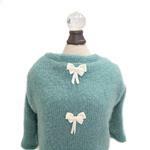 Keep your best friends warm and cozy in our limited edition, handcrafted, dainty bow tee sweater for these chilly days ahead. 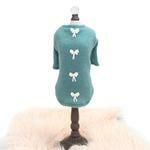 Made of Italian Angola Mohair Cashmere Wool Blended, Knitted Fabric in a beautiful teal color.